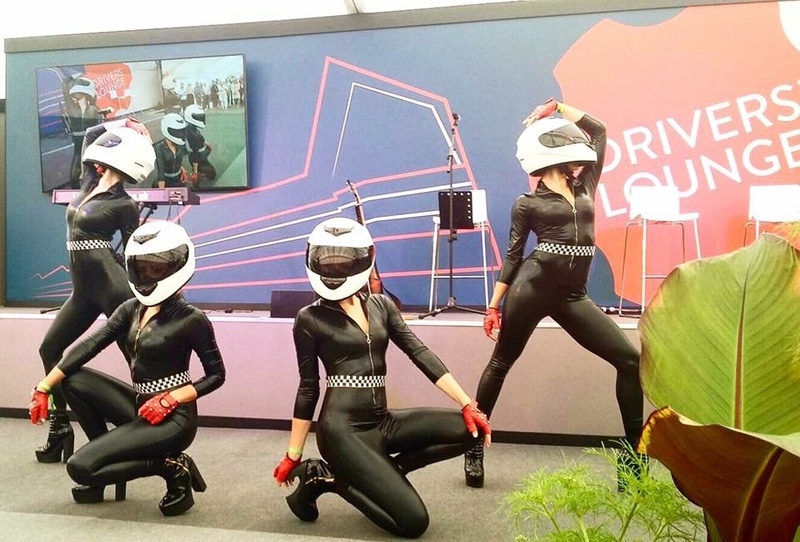 Set pulses racing with our unique act! 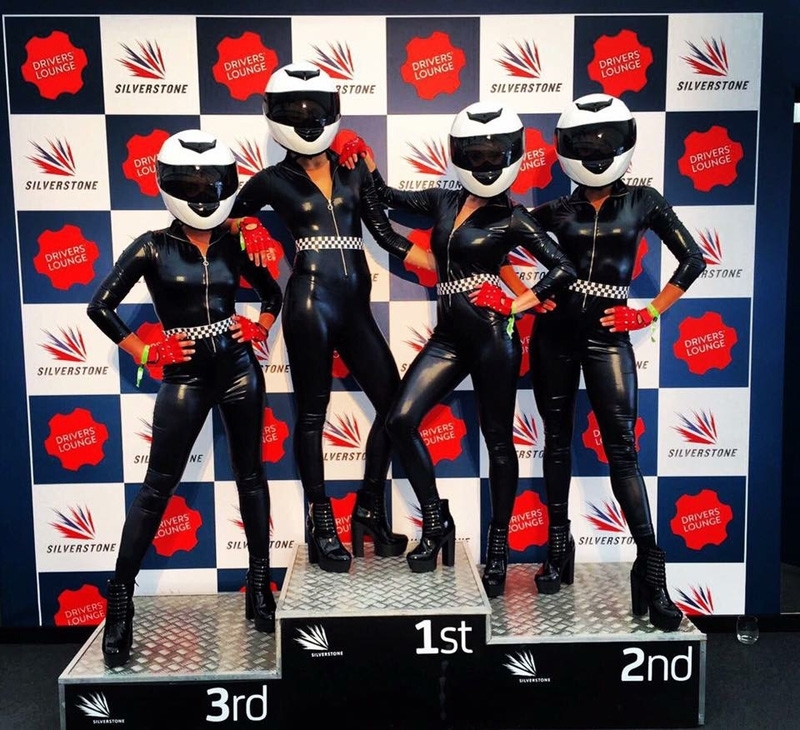 Originally created to entertain guests at the Silverstone Grand Prix, The Stigettes are a unique addition to any event and are guaranteed to draw a crowd! Watch as The Stigettes strut robotically around the crowds, changing formations and striking poses in unison in their cool and collected style. 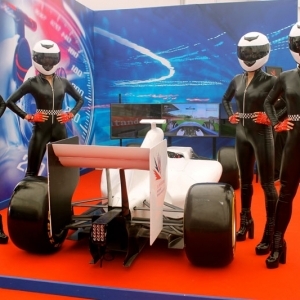 Simple, but unbelievably effective, your guests will be queueing for a photo with our stunning racing girls. 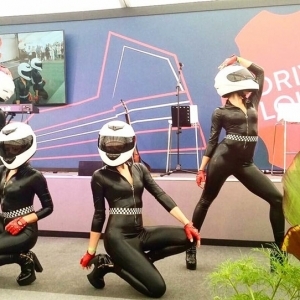 As well as providing a fantastic Meet and Greet style act, The Stigettes can also perform a dance routine later on in the evening, but will your guests get to see who is hidden beneath the mysterious helmets?